During the month of January, BCC bloggers have explored a variety of themes that reflect the ever changing role of the teacher librarian in the school community, but one consistent thread has emerged. The role of bridge builder and ombudsman for connecting all the stakeholders-administrators, classroom teachers, specialists, parents, community members, and students-is one that needs to be cultivated intentionally and with forethought. 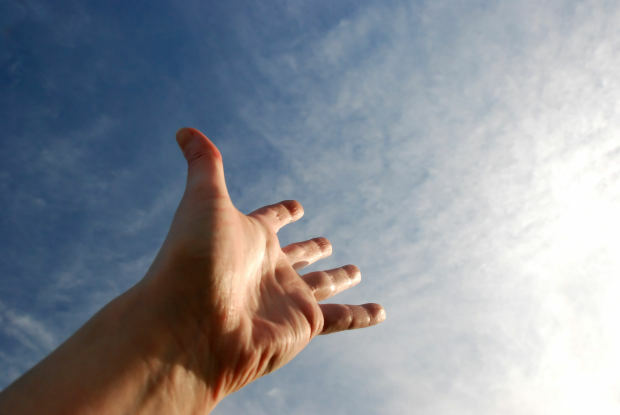 I suggested a goal for reaching out to a new audience, not just preaching to the choir. Judi wrote about breaking down the silos between professionals through the blogosphere with an upbeat response to promoting classroom and school libraries together. Sue shared her own experiences as a bridge by providing library collections for classroom teachers, and Melissa honed in on advocacy as a means for building connections and partnerships between teacher librarians and stakeholders. A key message from all of these ideas is the need to be proactive, and not reactive. A good way to begin bridge building is to get out of the school library and into classrooms and other learning spaces in your school. Even if you are on a fixed schedule, make time to walk in others’ shoes, see challenges through others’ eyes. Listen closely and observe what is happening. Be a detective. Take note of initiatives, demands on schedules, or problems that might impede learning that effect the whole school environment. Find out what is on the principal’s hot list, because s/he is usually on the hot seat! Then ask yourself, how can I be part of the bigger picture, and align the school library program with the wider school community? Tracey Wong writes in the October 2013 issue of Library Media Connection, “I learned that building bridges is a way of life if you are passionate about your work.” (30) Once at loggerheads with her principal, she was able to turn the relationship around by using five key points for building bridges learned in an advocacy class with Deb Kachel at Mansfield University. She goes on to describe the five points and how they continue to guide and improve her school library program, as she grows professionally and personally as she collaborates with multiple stakeholders. The five key points for building bridges include building communication, community, relationships, partnerships, and resources. 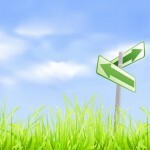 To see how she flipped her thinking and became proactive, read the entire article! It’s inspiring and presents a model to follow. 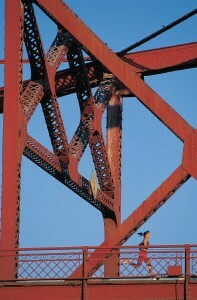 How do you build your bridges? Wong, Tracey. 2013. “Building Bridges.” Library Media Connection 32 (2): 30-1. I had prepared some thoughts for posting this week, but after listening to a presentation at the Association for Library and Information Science Education (ALISE) conference yesterday I changed my mind. Yesterday morning in the School Library Media research SIG session Elizabeth Burns, a PhD student at Old Dominion University, presented her dissertation research on advocacy: Practitioner Perceptions of School Library Advocacy: A Pilot Study. Burns questions school librarians’ perception of advocacy, their experiences with advocacy in a school setting, and their preparation relating to advocacy. I think Burns gets to the heart of the matter in that there is a lack of definition of advocacy and very little research in this area. It reminds me of many concepts and ideas (such as my own research into “be a leader in technology integration”) that we as school librarians as taught and constantly reminded by AASL and ALA that we are “supposed to do” but are only given a vague definition or idea of what that entails. You may ask what does this have to do with collaboration, but it has everything to do with collaboration. Advocacy has to do with making connections and partnerships with your stakeholders. And indeed it was this disconnect from stakeholders that emerged in Burms research. This is just a small facet of her wonderful and very timely research! Her presentation left me with two big questions. For myself as an educator I have really been thinking about how I educate my students, future school librarians, on advocacy and how can I do a better job defining, giving real world examples, and stressing the importance of evidence. Also how do we as school librarians PROACTIVELY work to create these meaningful partnerships with the various stakeholder groups? Because as well all know when the cuts come it is already too late. 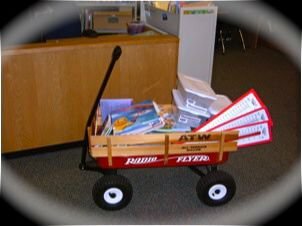 Reading Judi’s recent entry as well as the conversation on the AASL Forum about classroom collections, I decided it was time to revisit the red wagon I talked about in earlier postings. Someone once commented to me that the red wagon never went to a classroom when it wasn’t full. And this was true – the red wagon was a way for me to provide classrooms with “revolving collections” of materials that I knew would appeal to students as well as match the current curriculum goals in science or social studies for example. Many of my teachers had extensive classroom collections that they had amassed over the years. Their collections became wallpaper in the classroom and needed to be re-freshed. The library was the way to do this. As I think about Judi’s post and the important point she makes about needing to come out of our silos and talk to each other, I think we need to see the desire for a classroom collection as a way for us to bridge the library and the classroom. Those teachers who have extensive classroom collections are often strong library allies. They collect books because they love them and they believe in putting books in the hands of kids. They have a bottomless need for books and reading and the library is their fix. One of the best methods I observed for promoting reading in the classroom were genre baskets that changed regularly. One teacher I worked with submitted a new “red wagon request” every month to re-fresh her baskets with a variety of fiction genres, non-fiction, biography, and special formats like magazines or graphic novels. I have to admit, I always got concerned when teachers asked for money from the budget to supply classroom collections. I had a principal who understood that scarce budgetary resources were best allocated to shared resources such as the library. One enterprising teacher, however, found a grant to purchase tubs and relatively inexpensive paperback book sets from a major publisher for every classroom. These tubs were also checked out from the library at the beginning of the year and returned at the end. A cursory inventory was done of each tub. Some loss was inevitable but we were able to add to these tubs with donations of paperbacks or duplicates that weren’t needed in the library collection. I really appreciated the tone of Judi’s letter and think this open stance is our best approach to this issue. School librarians, teachers and principals want the same thing for our students when it comes to learning to read both critically and for sheer enjoyment. We want them to have access to a variety of appealing, quality materials. The materials in those tubs were pale compared with library books. There was a discussion this week on the AASL Forum regarding an Edudemic blog post “10 Ways to Promote Your Classroom Library” by educator Jeff Dunn. Librarian Paige Jaeger posted a response “Building Bridges: Collection to Classroom” on her Library Door blog and launched the Forum conversation. This exchange prompted me to think about how classroom teachers and school librarians often travel in different social media and professional development worlds. Reaching across the blogosphere is especially critical for school librarians simply because there are fewer of us and our collective voices simply cannot make as large an impact as those of classroom teachers. Your post about classroom libraries prompted a discussion on a listserv forum for the American Association of School Librarians. Thank you! I appreciate your thoughtful ideas about promoting literature in the classroom and hope that in schools across the country school librarians are also using all of these strategies (and more) to promote reading in their schools. In his book Around the Reading Workshop in 180 Days, Frank Serafini notes that at least 100 books per child is the benchmark of a well-stocked classroom library (37). He recommends 2,500 – 3,000 resources at all reading levels in all genres. Wow! I don’t know many teachers who have the financial resources or the physical space to provide that amount of reading material in their classrooms for their students. However, a well-stocked school library facilitated by an effective school librarian can meet students’ and teachers’ resource needs. School librarians – along with classroom teachers – can contribute to developing the exciting strategies for engaging students with literature and learning that you propose. Yes! to classroom libraries! Yes! Yes! to school libraries. Yes! Yes! Yes! to classroom teachers and school librarians who collaborate to help youth access fresh and exciting reading material and develop the skills and strategies they need to become lifelong readers and learners. Serafini, Frank. 2006. Around the Reading Workshop in 180 Days: A Month-by-Month Guide to Effective Instruction. Portsmouth, NH: Heinemann. The school librarian blogosphere is alive with questions rather than resolutions for the new year. 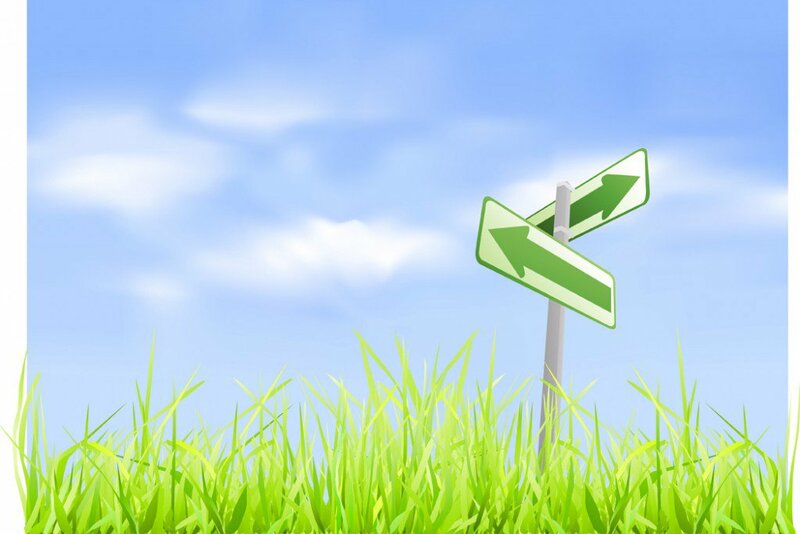 In her January 3, 2014 Neverending Search blog post “Tackling the Questions in 2014,” Joyce Valenza cited both The Adventures of Library Girl blogger Jennifer LaGuarde’s and Blue Skunk blogger Doug Johnson’s questions for the new year. In the spirit of collaboration and since several concepts connected with our focus here at the Building a Culture of Collaboration blog were not mentioned by Jennifer or Doug, I would like to add a few questions of my own to their lists. How can I continue to serve as a leader alongside my principal in order to build a culture of collaboration in our school? How can I ensure that every member of our school community understands that our library is a shared learning and teaching space for all? How can I effectively communicate that I am a learner (as well as a teacher) as I coplan and coteach with classroom teachers and specialist colleagues? How can I further develop my interpersonal skills and improve my practice of instructional partnerships to achieve effective job-embedded professional development? How can I help maximize the impact of our collaborative teaching in order to make a difference in the learning outcomes for every student in our school? Adding these five questions to those posted by Jennifer and Doug, terrific teacher-librarians can demonstrate to students, colleagues, administrators, families, and communities that ours is an essential role in 21st-century education. Here’s to answering these questions in our daily practice throughout the new year! Children born in 2000 will be entering high school this year. Are we preparing them to be innovators and explorers of the future, or are we preparing them to take tests? Wikipedia is 13 years old on January 15, 2014. Facebook and Twitter have been around since 2004 and 2006, respectively. NCLB had a target of 2014 for all students to be reading on level by third grade. What happened with that? When do we stop talking about 21st Century skills? Is collaboration a worn out word or just getting started? Collaboration is multifaceted and layered, and not dead! Find your level of comfort and make connections in your school or community-physically and virtually. Collaboration is a hot educational buzz word, and teacher librarians are resident experts in schools. Just do it! Show and tell about what you do. Most people don’t understand all the hats you wear in your job. Social media is a key to getting the word out. Find a new audience. Don’t just preach to the choir. Create a brand for yourself and your school library. Rewrite your job description based on AASL recommendations, and share it with your administrators. Make sure that your evaluation system matches your job, too. Believe in the collective capacity of groups of like-minded individuals. Together we can. Engage your colleagues, your students, your parents in projects that create change. Build that culture of collaboration that supports an exchange of ideas and learning. Continuously reflect on what’s working and what’s not. Find the “pockets of excellence.” Be flexible and nimble, and ready to change course if need be. Remember, it’s about kids and learning. In 2014, I challenge you to take just one of these small steps to guide your year as a teacher librarian. I will be working on many of them, too, as I support pre-service teacher librarians and librarians in practice in my role as a library educator. I’m excited about all the possibilities and the enthusiasm that I see every day in the field. Together we can! Have a great year!